Spinach and cheese. A match made in heaven. 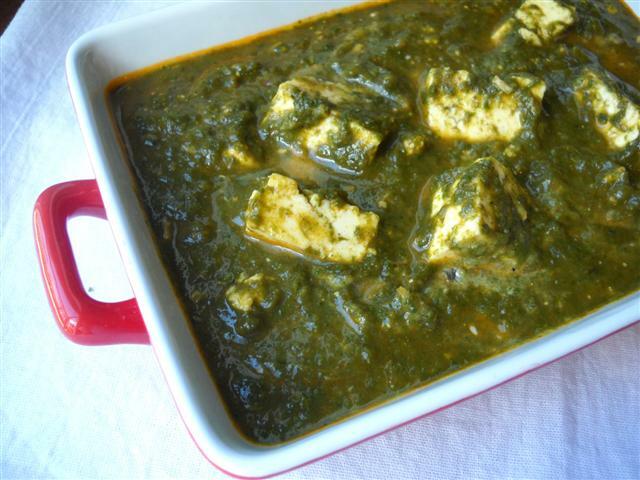 I can have paneer in anything… but at least the spinach makes it feel a little healthier! Boil the water in a pot and add the spinach. Cook it with the lid off for a few minutes, until cooked. Blend this (along with the water) until its the consistency you like. I don’t like it too chunky or smooth, but somewhere in between. Heat a pan and add the ghee. Once hot, add the cumin seeds. Let them sizzle a few seconds and add the shallot/onion. When the shallot is turning golden, add the garlic, ginger paste, the powdered spices, the kasoori methi. Stir, then add the tomato puree and salt. Cook it until you see oil coming around the edges and it becomes a paste. 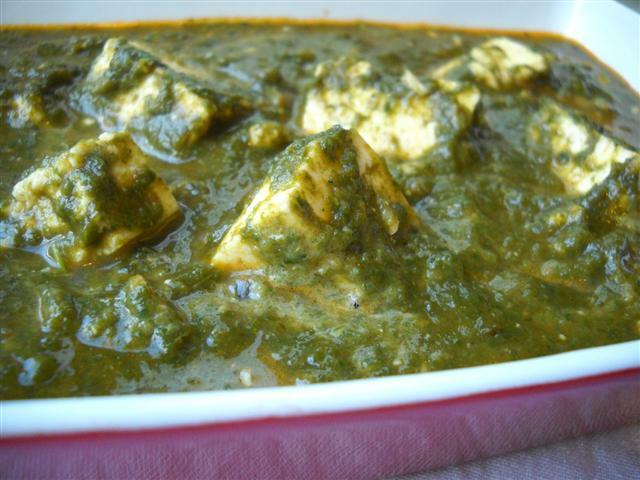 Then add the spinach and finally the paneer. (You can lightly sautee the paneer cubes before adding, but I usually only do that for guests or if I want to make it extra special.) Bring to a boil for a few minutes. Top with a bit of butter or cream.